 2 Staged Zero Gravity?  Heat on Lower Lumbar? The foot and calf area has a total of 16 air bags , each uniquely placed to hit the vital muscle areas. The air bags will inflate and deflate creating a squeezing like action. The intensity of the pressure can be controlled from the remote control. There are 5 preset programs to select from; Morning Wakeup, Sporting Recovery, Full Body Relax, Neck / Shoulder Therapy , Lower Body Therapy and Strength. . 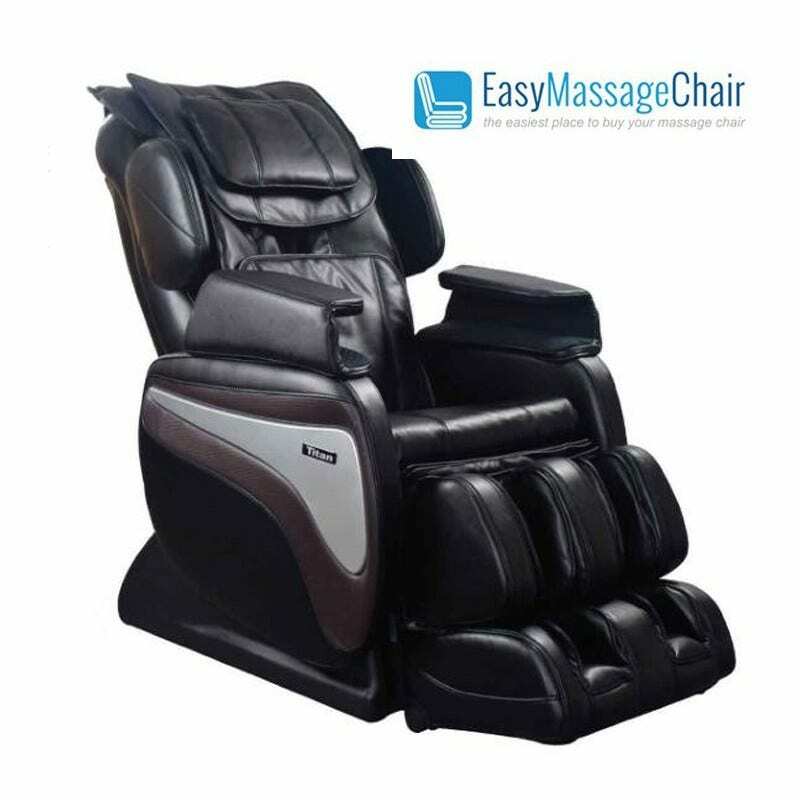 The intensity of the air massage that activate with the preset programs can be controlled to 5 different intensity settings. Very good quality, built. Very HappyReview by M. A. Well, i just got this and this for first few days impression; very good quality, built and many options to choose for your liking. Setting up was very easy and after everything was set this thing looks beautiful and works very good also. Be honest i wasn't expecting this. I used and tried many massage chairs around, in stores etc. i can put this right up there with the best ones. I think this TITAN TI-8700 is new 2016 model. I love the functions and the control that you can customize for your likings.